I’ve decided to go back to the original cover. I finally realised that I had chosen the yellow-danger-sign cover mostly for visual impact, but it didn’t feel very original and it certainly didn’t seem to be in keeping with the book, being quite modern and simple. I just like the old cover more. I’m using some 3D software to design a new cover, which will include an image of Joseph (something I’ve always wanted) and once that is done, I’ll then do the print edition, and also relaunch Airship City with some new content! Yes, the beauty of self-publishing via the Kindle is the ability to upload a new version whenever you like. Based on some feedback from one of my reviewers, I’ve realised that there is an exciting chapter missing from the book, and I’m in the process of writing that chapter and adding it in. 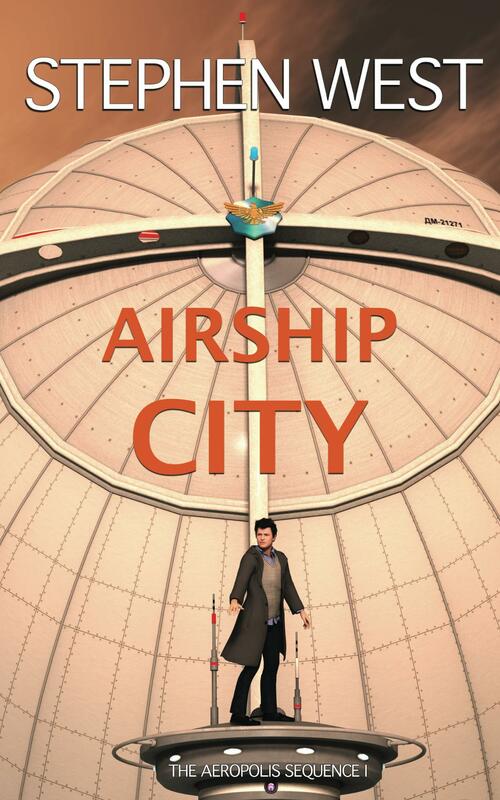 Everyone who has already bought Airship City will get the opportunity to download the new file as well. My aim is to get it done in the next month or so.